The fireworks may have fizzled out, empties may be strewn everywhere, but the party isn't over yet. When 1 January rolls around, you could be in your bed nursing an almighty hangover OR you could show your mettle by continuing celebrations at the New Year's Day Parade which takes place every year in central London. 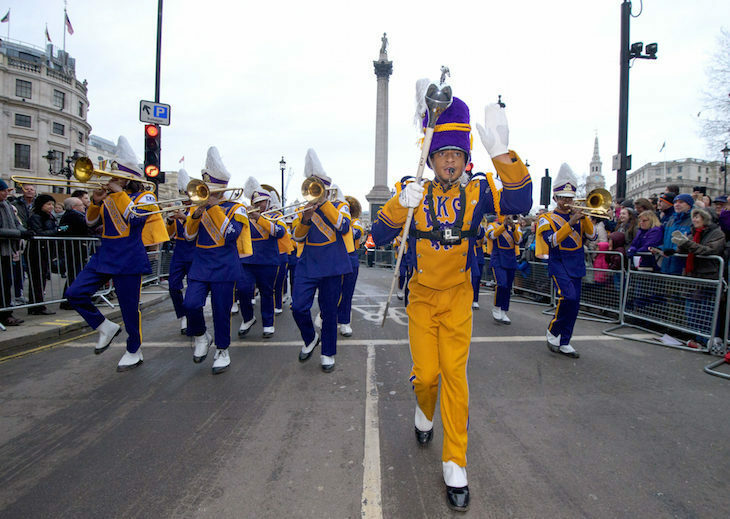 What is the London New Year's Day Parade? 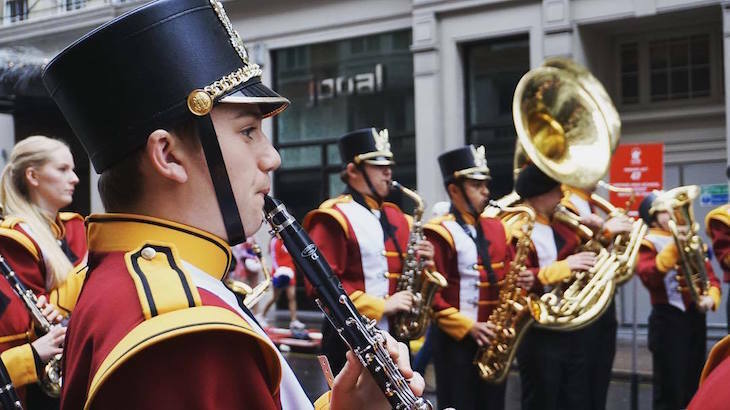 Every year on 1 January, while many Londoners sleep through the year's worst hangover, London's New Year's Day Parade takes place in the centre of town. It began in 1987, and has taken place every year since then. Between half a million to a million people (depending which source you believe) line London's streets to watch it. When is the London New Year's Day Parade? Come on Einstein, you've got this. Luckily for you later birds, the party doesn't kick off until 12pm — time to recover from last night's antics (or go for that early morning jog that you're definitely going to do every day in the new year). The procession continues until about 3.30pm. 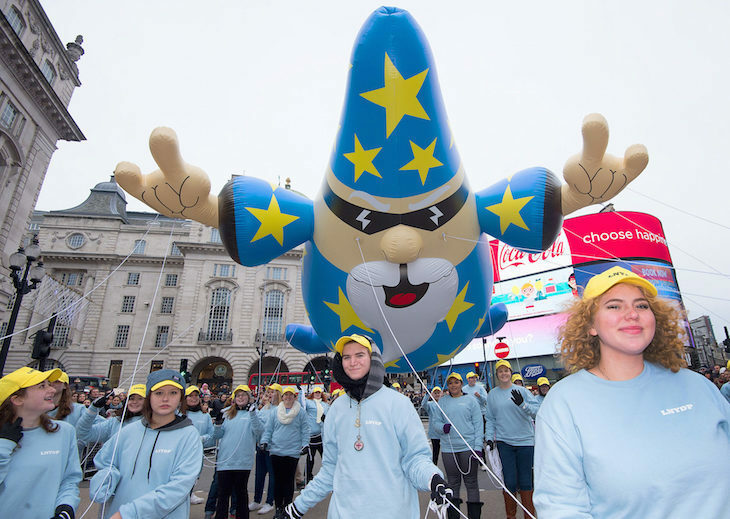 Where is the London New Year's Day Parade 2019? It begins at Piccadilly (right outside The Ritz, which is what you want when you're paying that much for a hotel room and sleeping off a hangover that big), heading east to Piccadilly Circus, skirts around Eros before heading south down Regent Street St James's. Then it's left down Pall Mall, a quick march past Trafalgar Square, and down Whitehall to the finish point at Westminster. The whole thing takes three hours from the first float setting off to the last one finishing. Bring snacks. You can download a full 2019 map route. *TRIVIA CLAXON*: For the first 22 years of the parade's existence, the route was the reverse of this — it was flipped in 2009. The main reason for the change was to please US TV broadcasters, whose viewers get a better view of key London landmarks. 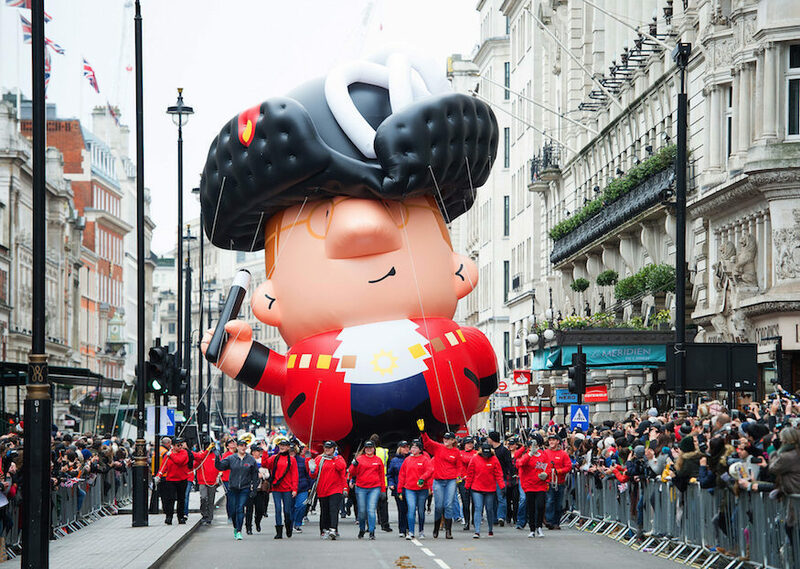 Who is involved in the London New Year's Day Parade? Bands, cars, donkeys... it's an eclectic mix. 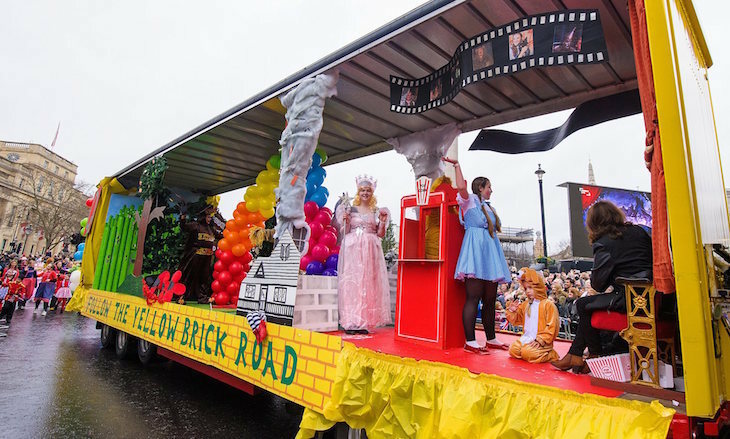 Participants you'd expect to see in a London parade, including Pearly Kings and Queens, and floats from London boroughs, march alongside American high school bands and cheerleading teams. 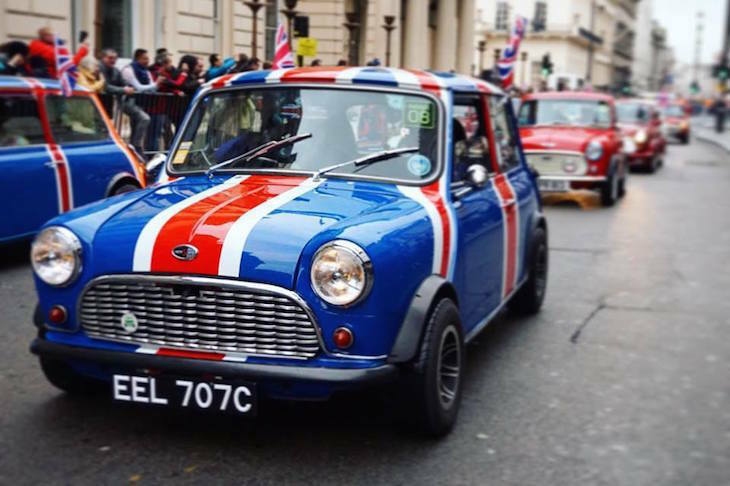 Several car groups, including the Aston Martin Owners Club and the London & Surrey Mini Owners Club will be putting rubber to tarmac, but we reckon the Donkey Breed Society will be the most popular because, well, donkeys. See the full list of participants. 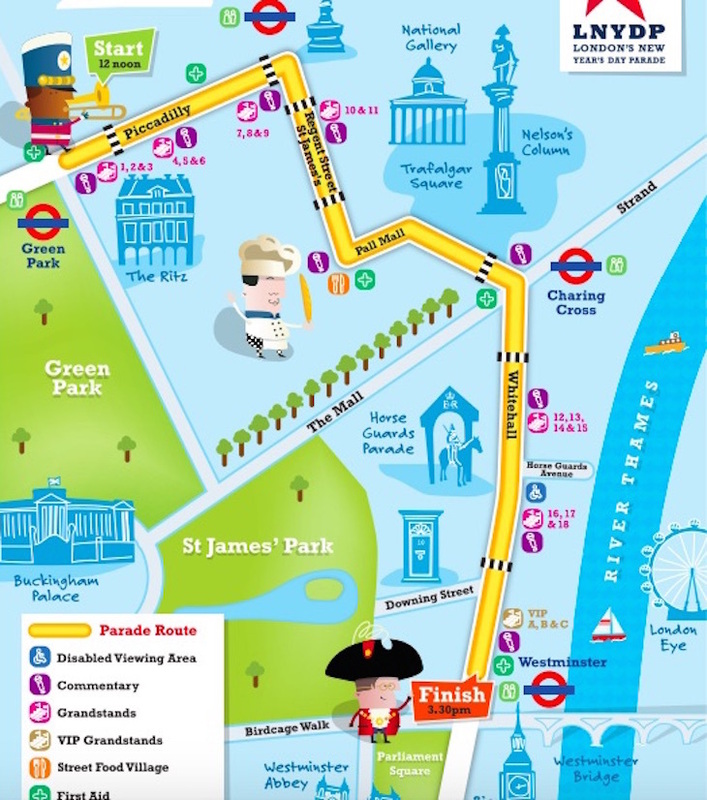 How can I watch the London New Year's Day Parade? Your best option is to grab a spot somewhere along the route. Stand on the pavements, or perhaps hole up at the window seat of a cafe or restaurant along the way. If you plump for the latter, check opening hours in advance, as it's a bank holiday — and be warned that the crowds get large at some points, and may block out your vantage point. If you're feeling flush, splash out £40 on a seat in one of the many grandstands that line the route on Piccadilly, Regent Street and Whitehall— or a VIP seat on Whitehall will set you back £125 (book in advance for all seats). There are a couple of warm-up concerts taking place in the preceding days, allowing the bands to fine tune their performances in time for the big event. A nice idea if you've had enough of Christmas telly and want to get out of the house between Christmas and New Year. You'll need to book ahead for them. If you're a total parade fanatic, you can even buy yourself some merchandise to remember the parade forever, including a cuddly toy Alfie puppy. Who's Alfie? No-one knows, but he's yours for £15. Find out more on the London New Year's Day Parade website. Not into the banging of drums and tooting of trumpets so early in the year? Check out other things to do in London on New Year's Day 2019.